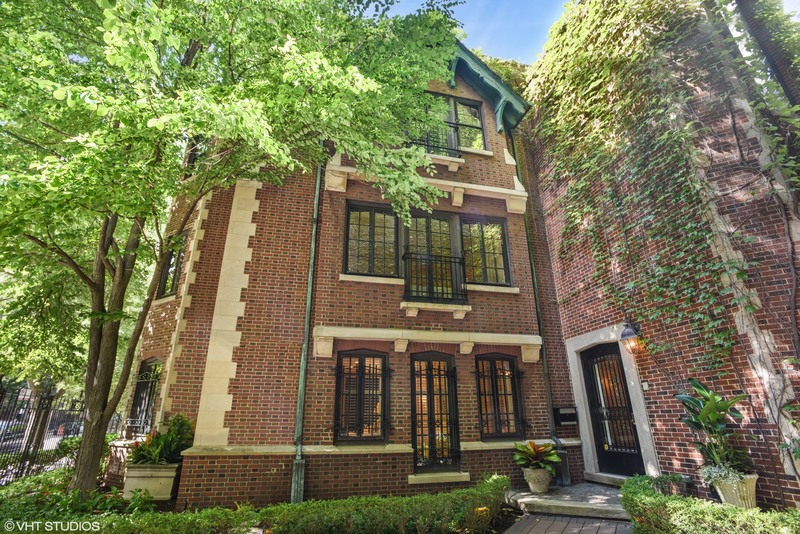 A historical treasure on prized Astor St, this 1892 Tudor Mansion in Chicago's coveted historic district is impressive in its quality & stature. The home sits on a large pristinely-landscaped. 50 x 67 ft lot, with an ornate 12' gated entry leading to a unique wraparound private brick paver driveway & patio surrounded by gardens & ivy. A redone wrought-iron, beveled & etched-glass main door proceeds to a stunning limestone & granite, paneled & domed foyer w/a dramatic central staircase, added to the home in 1912 by architect John E. Youngberg. The immaculate light-filled 5,300 sf interior spanning 3 stories + a finished lower level takes classicism & modernism to a whole new luxury standard. This unique residence is brimming with exquisite architectural details & offers generously-proportioned rooms for living/entertaining. 2 gas fireplaces, 2 terraces, 5 Juliet balconies w/French doors, gourmet & catering kitchens, 2 laundries are among the wealth of incredible features.